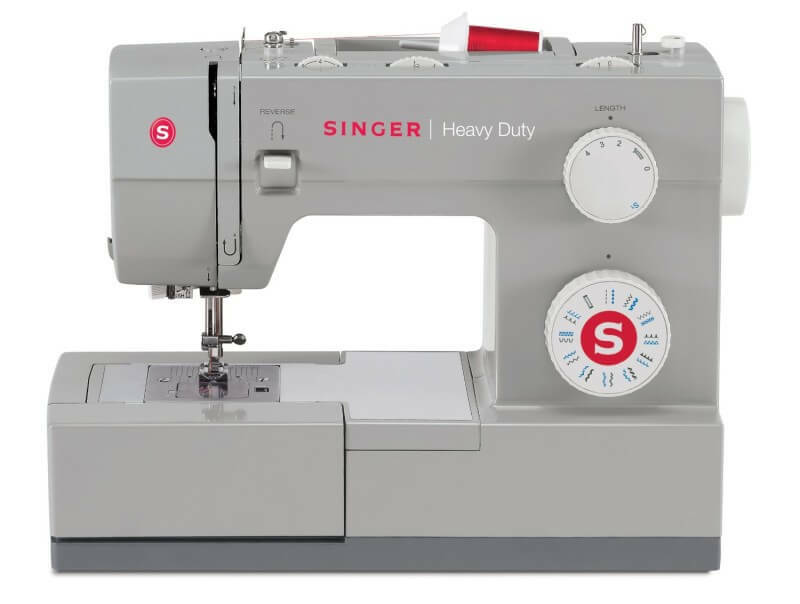 The SINGER 4423 has an automatic needle threader, a drop in bobbin with a clear view cover, a one step buttonhole feature and it comes with a number of accessories. 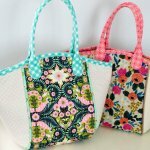 Accessories include an all-purpose foot, a zipper foot, a buttonhole foot, a button sewing foot, bobbins, a pack of needles, thread spool caps, and a soft sided dust cover. 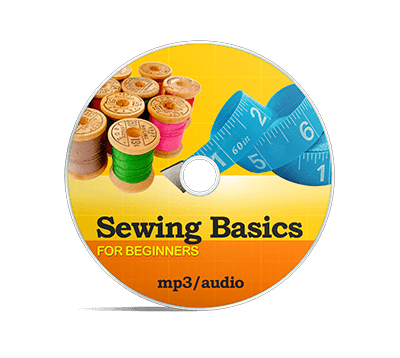 23 built-in stitches and a one-step buttonhole. 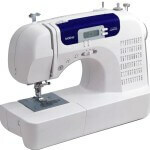 We mentioned earlier that the manufacturer says that this machine is able to sew through just about anything you throw at it but there are plenty of customers that disagree. 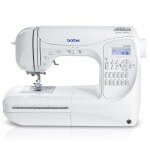 When researching the SINGER 4423 Heavy Duty Model Sewing Machine we found nearly 200 user reviews online and this product received a very disappointing average user rating of 3.47 out of 5 stars. 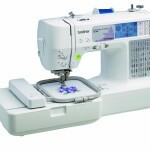 We’ll start by mentioning some of the things that positive reviewers liked about this machine. 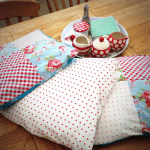 One customer said that they do a lot of quilting and the 1000 stitches per minute can’t be beat. In addition to the speed of the machine people also like the automatic needle threader and several people commented that this machine is lightweight and easy to transport from one location to another. Some people even said that they were able to sew through some thick materials like canvas and denim. 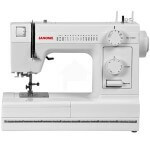 However, there were a large number of negative reviews from people that scoff at the claim that the SINGER 4423 is a “heavy-duty” machine. One customer said that they only had the machine for about five months and they only used it maybe 6 to 8 times when the automatic threader broke. Another person said that the machine worked like a charm on their first four projects but on their most recent project, which happened to be a very lightweight leather, the machine was no longer able to make secure stitches and they kept getting loops on the underside of the material no matter what they tried. Another customer said that the motor burned out after just four months. Someone else said that the machine broke in less than one month and one customer said that this machine is certainly not heavy-duty and it is not even light duty. One customer initially left a very positive 5 star review but within three months they started having a few small problems here and there. After a few more weeks they started having major problems and they eventually came back and changed their 5 star rating to a 1 star rating. 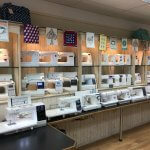 Another customer said that they have been sewing and quilting for “Many Many years and I’ve NEVER had as much trouble as I do with this machine”. 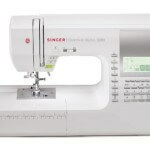 There are some positive reviews online for the SINGER 4423 Heavy Duty Model Sewing Machine of course but there are so many negative comments that if you are considering purchasing this machine we would recommend that you immediately reconsider and start looking into an alternative machine. 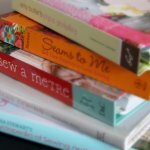 Affiliate Disclosure: This website receives a small commission from sales made through products we recommend from Amazon.com and some other retailers. 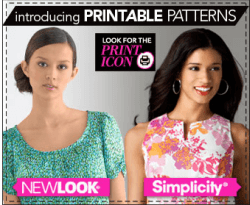 These commissions allows us to keep providing excellent free content to our readers.